What Kind of St. Patrick's Day Drinker Are You? Boost your bomb with a little caffeine! All photos by Joey Wharton. Even in the realm of booze-centric holiday celebrations, St. Patrick's Day gets a bad rap. Although it's technically a cultural and religious celebration commemorating the death date of Saint Patrick, the primary patron saint of Ireland, March 17 has devolved into an excuse for debauchery. The mere mention of the holiday can conjure memories of drinking lukewarm green Coors Lite, eating stale Irish soda bread, wading through drunken masses shouting over loud bagpipe music, and getting pinched for forgetting to wear green in elementary school. Don't fret, my shamrock-loving compatriots! It doesn't have to be this way. 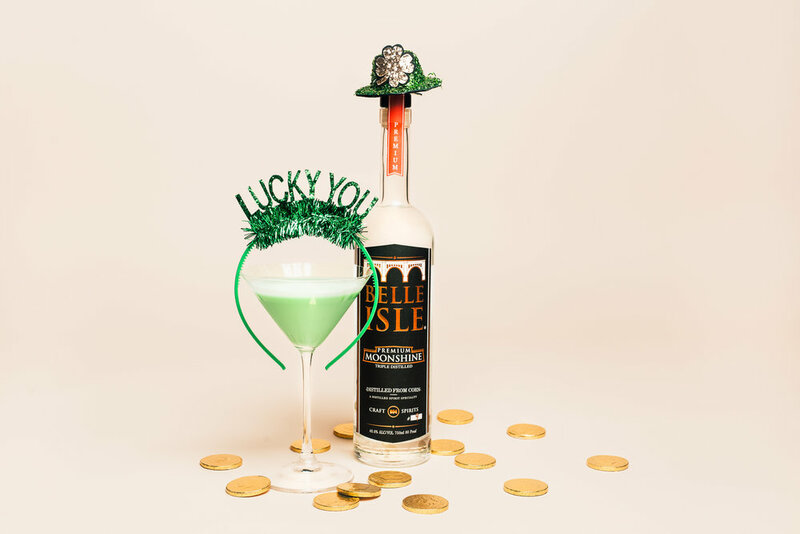 Celebrate the luck of the Irish however you'd like with these four St. Patty's Day cocktail ideas for each type of leprechaun out there. Are you a green martini sipper, or more of a bomb enthusiast? Whether you'd prefer your Irish goodbyes to be inspired by Champagne or Guinness, Belle Isle's got you covered this St. Patrick's Day. You're into keeping it classic, and on St. Patrick's Day that means a sweet, frothy, bright green martini. The deceptively boozy Hop, Skip, and a Jig is our spin on an old-school Grasshopper cocktail, and it pretty much tastes like a boozy Shamrock Shake. Some may call you old fashioned, but If it ain't broke, don't fix it! If you want to get in on the St. Patty's Day fun, and your tastes run a little more high brow that green beer, the Spicy Frenchman is right up your alley. 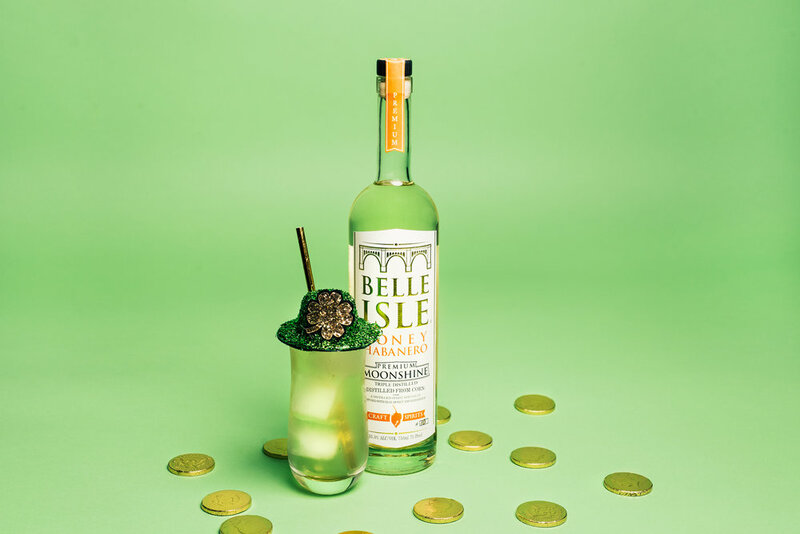 The French liqueur Green Chartreuse lends a subdued green tint to this herbal sparkler, and the sparkling wine (use Champagne if you're truly fancy) makes it light and bubbly. You're easy to please, and you don't need anything fancy to have a good time. 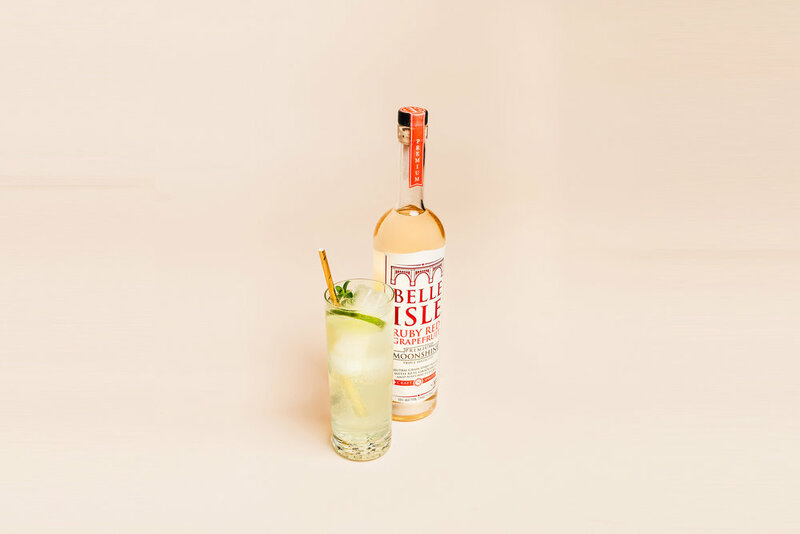 The Minty Mountain Hop is super simple - all you need is Belle Isle Ruby Red, lime juice, club soda, and Fee Brothers Mint Bitters. These bitters are the best! They add a bright pop of color, and the finished product is a citrusy, refreshing banger. Our Irish Breakfast Bomb needs little explanation. 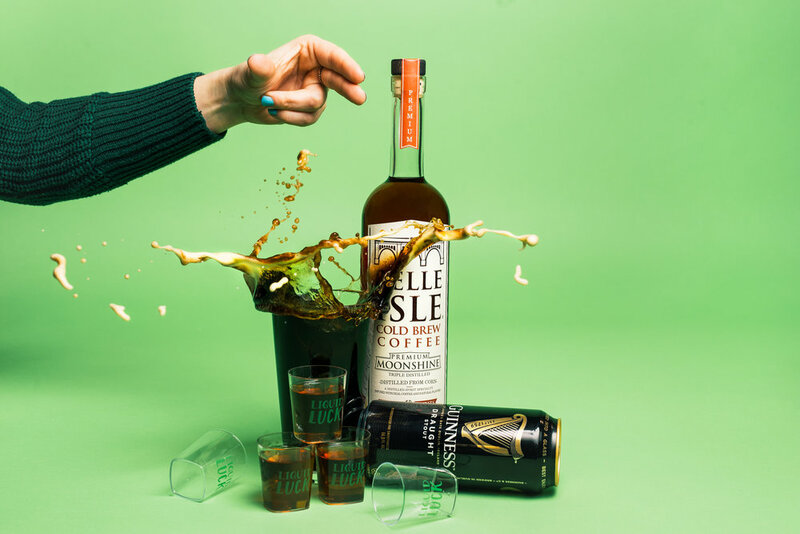 Belle Isle Cold Brew Coffee and Guinness is the perfect St. Patrick's Day combo. You know what to do: Drop it in and chug! Play Belle Isle's Oscars Tic-Tac-Toe Drinking Game!